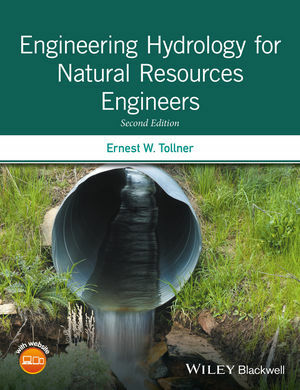 This fully revised edition provides a modern overview of the intersection of hydrology, water quality, and water management at the rural-urban interface. The book explores the ecosystem services available in wetlands, natural channels and ponds/lakes. As in the first edition, Part I examines the hydrologic cycle by providing strategies for quantifying each component: rainfall (with NOAH 14), infiltration, evapotranspiration and runoff. Part II examines field and farm scale water quality with an introduction to erosion prediction and water quality. Part III provides a concise examination of water management on the field and farm scale, emphasizing channel design, field control structures, measurement structures, groundwater processes and irrigation principles. Part IV then concludes the text with a treatment of basin-scale processes. A comprehensive suite of software tools is available for download, consisting of Excel spreadsheets, with some public domain models such as HY-8 culvert design, and software with public domain readers such as Mathematica, Maple and TK solver. Professor Ernest William Tollner, University of Georgia, Department of Biological and Agricultural Engineering; Driftmier Engineering Center, University of Georgia, Athens, GA, USA.